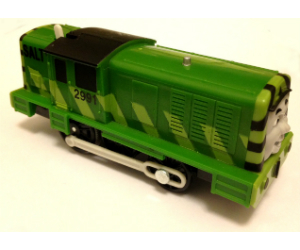 Salty's Green Coat of Paint is a TrackMaster Greatest Moments Pack by Fisher-Price. This new battery operated toy includes one green Salty, one blue fish van and a read truck. 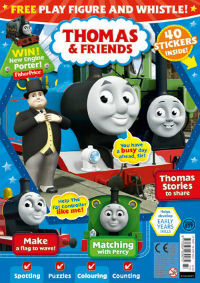 This new Salty is featured in Salty's Surprise from the twelfth episode of the sixteenth season of 2012.